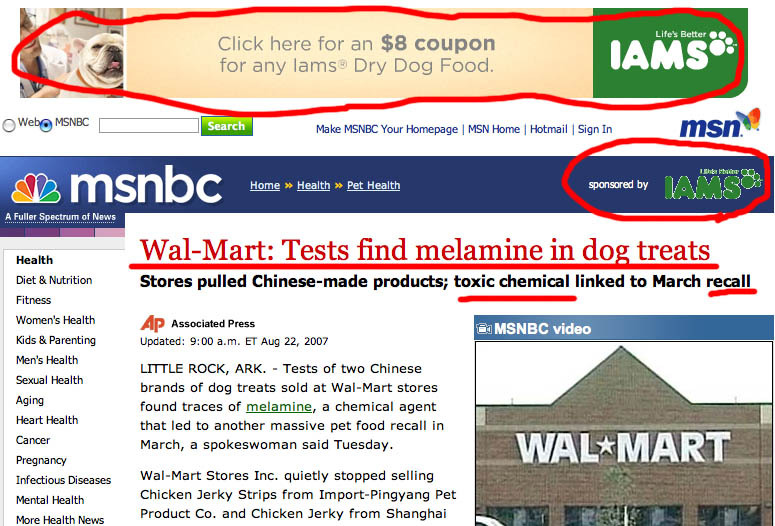 Sometimes, contextual ads are beneficial. They correctly associate an advertiser’s message with related content. Other times, they make a brand guilty by association. ~ by Brad Levinson on August 23, 2007. Guilty by association, or catering to the dog owners reading the artcle? Definitely “guilty by association.” If you’re a brand manager, you never want your brand paired with something like that.